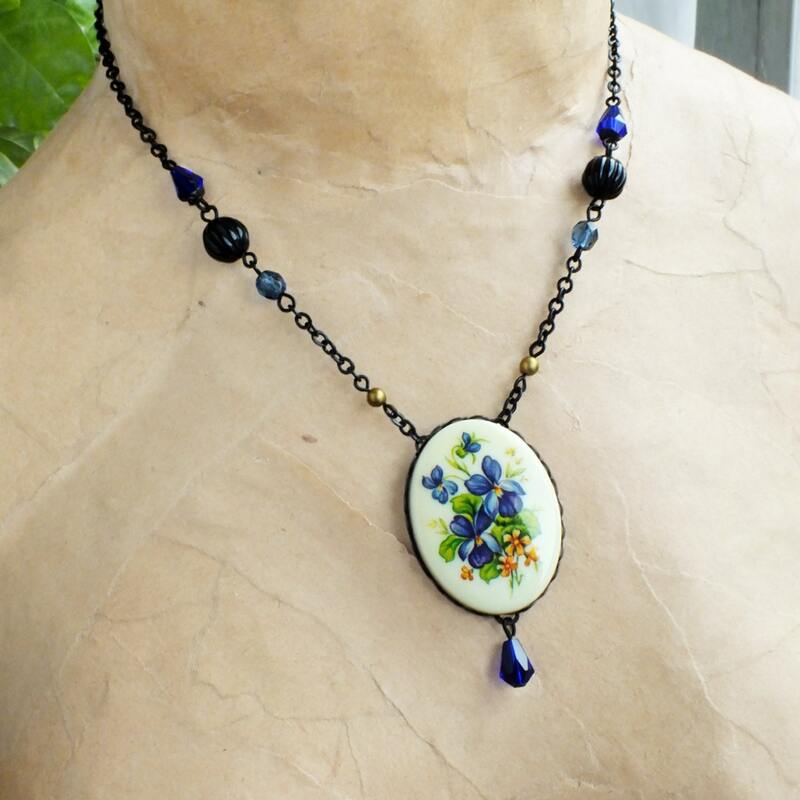 Handmade blue flower cameo necklace with large vintage violet pansy pendant. 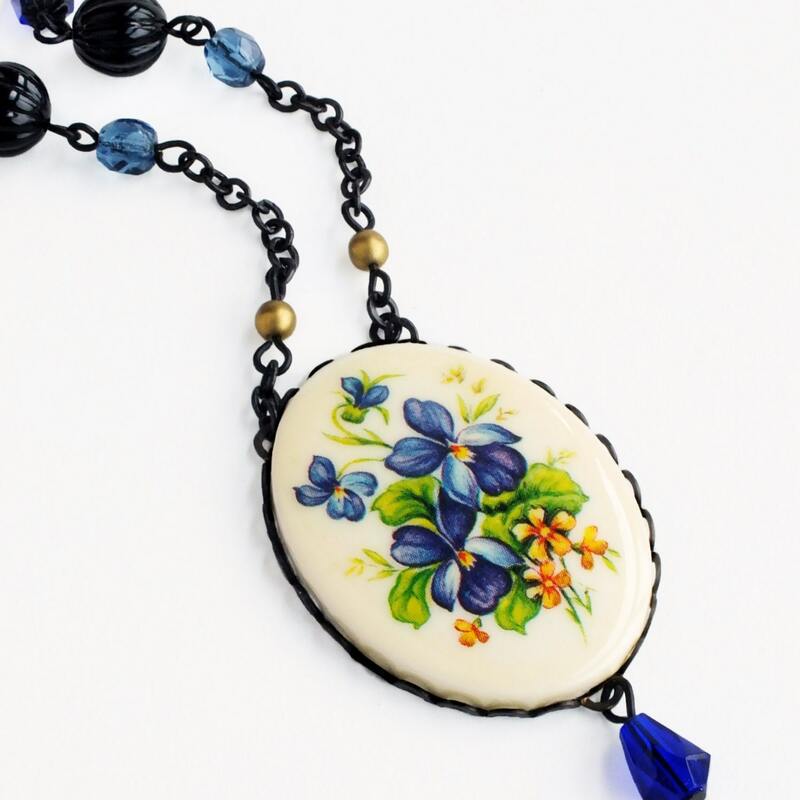 Genuine vintage cameo and some beads. 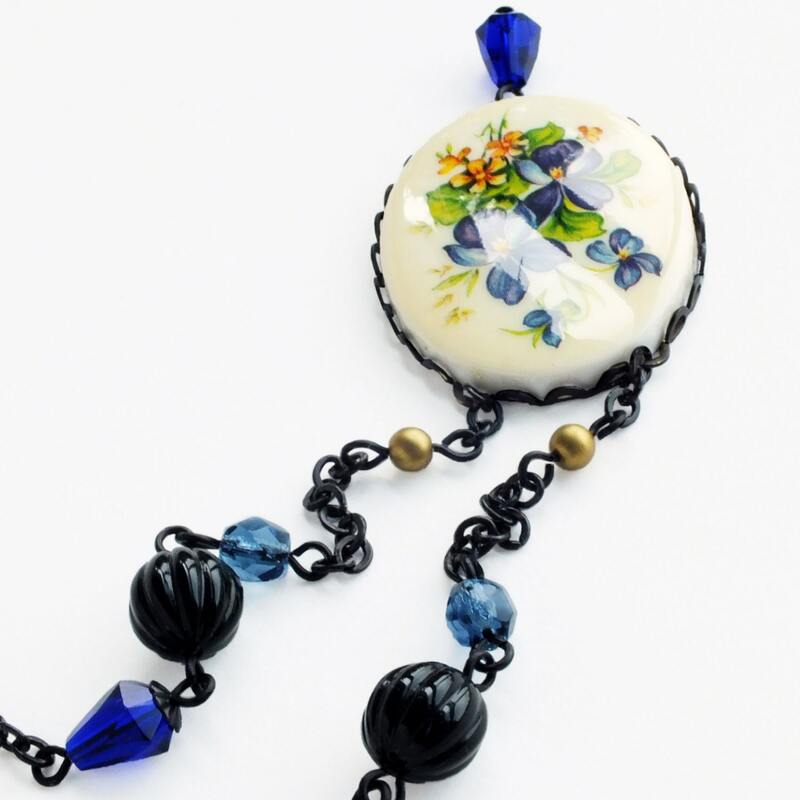 for the US made antiqued brass setting and chain. 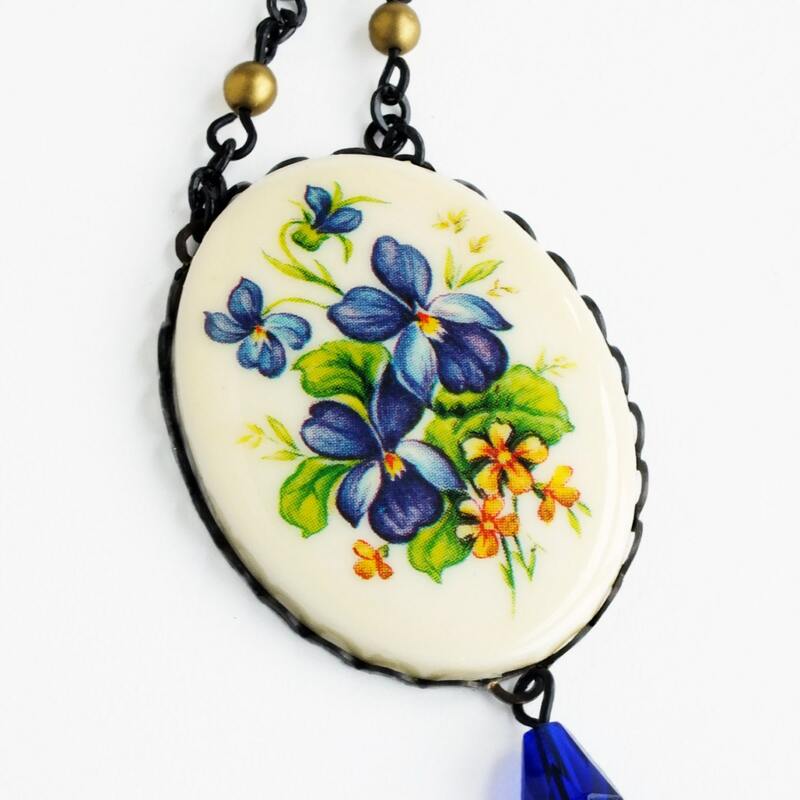 Featuring a large genuine vintage cameo of blue pansies adorned with a sapphire blue Czech glass drop. 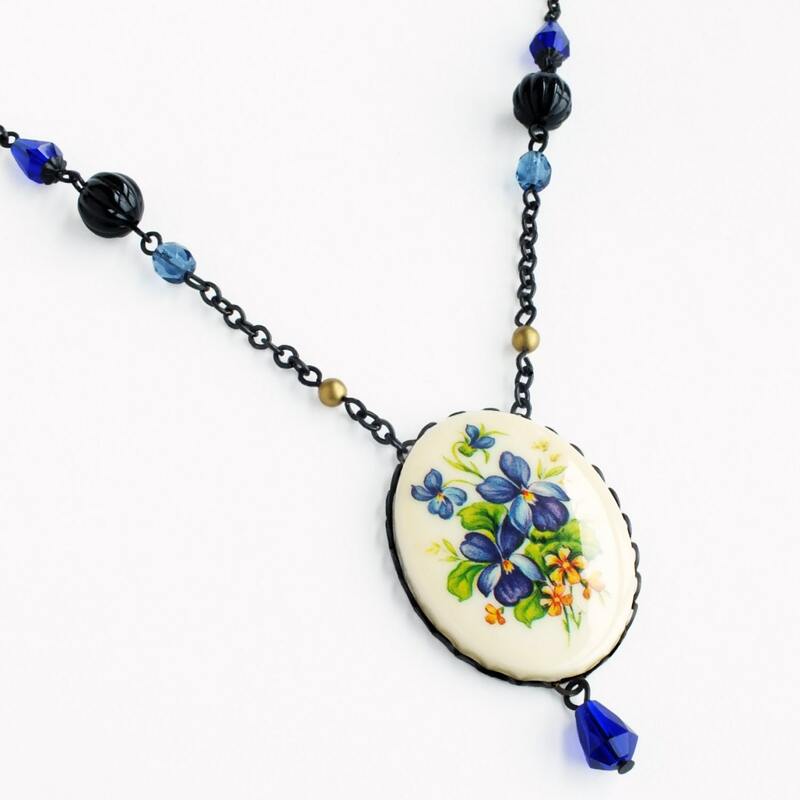 Hung from a chain of sapphire blue, indigo, black and matte gold beads.